Satchur8. 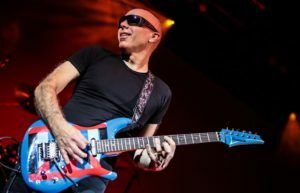 What a cool name for a pickup for Joe Satriani! Mo’ Joe and Satch Track are quite groovy, but they will need to throw down a maximum effort to top Satchur8. Does the name do justice to the tone? Well, keep reading. 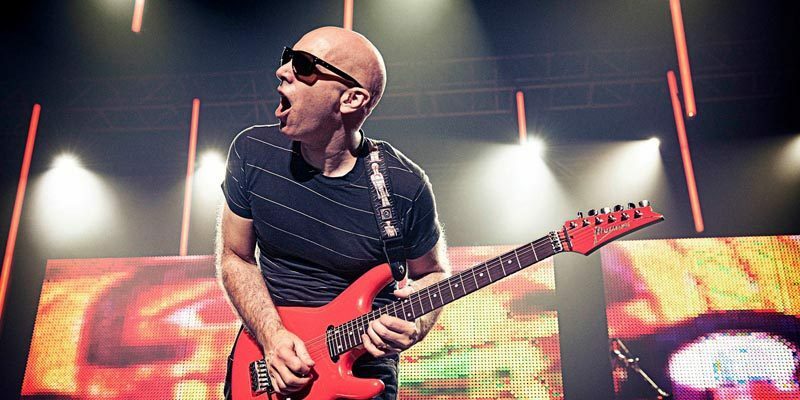 You probably already know there are a good selection of Satriani pickups to consider in the DiMarzio catalog. Originating with the FRED and then the aforementioned Mo’ Joe in the bridge. There is the full size humbucker PAF Joe and the single-space sized Satch Track humbucker. For this review, the Satchur8 is in a double hum super strat with a double locking trem. A PAF Joe is in the neck. 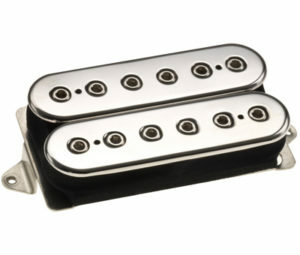 Both pickups go to independent Bourns push/pull pots for series/parallel operation. This is the same guitar that is home to the FRED for that review. Right away, the Satchur8 really grabs a hold and goes on a ride to the land of great tone. It is open and lively and really likes to sing with a very musical voice. There is enough drive to facilitate some focused riffing while maintaining a beneficial uncompressed quality. For a guy that has liked all the Satriani pickups from DiMarzio, I think the Satchur8 is an ideal manifestation of what I imagine when I think of an implement to deliver great Satriani voicings. On dirty amp settings you get riffs that punch you in the chest, open chords that fill your sonic spectrum, and sweet sustain that’s (wait for it) music to your hears. LOL! When you look at the specs below, you see that the Satchur8 fills a coveted gap in the DC Resistance range between what’s considered a medium and a hot wind. Ease up there, I’m saying a wind, not an output. HaHa! 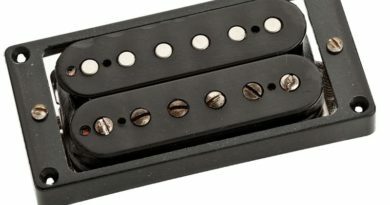 Additionally, you see a pretty radical coil offset the no doubt contributes to the accessible character of this humbucker. That slightly increased resistance can demand some tweaks for your clean tones in some instances. Should take nothing more than a twist of a knob here or there. Pairing with the PAF Joe works really well. Although the PAF Joe is over a dozen years old than the newly minted Satchur8, coming from the DNA of the same mind, they go together like peas and carrots. Switching from one position to another is fairly seemless. From the bold presence of the PAF Joe to the vibrant character of the Satchur8, all the bases are covered. What’d I tell you? Look at that coil offset! And yes, the ‘8’ in Satchur8 is for the Alnico 8 magnet. We could nerd out about the choice of a nickel silver baseplate, rather than brass, interacts with the strong Alnico 8, but… The short version to all this is that it’s an example of the ends justifying the means. There are a few pickup companies out there that defy convention in this way and I dig it. Additionally, the Satchur8 is another display of what happens when a pickup is designed with an Alnico 8 in mind. 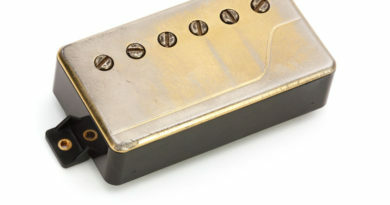 For the most part, I do like it when this approach is taken and you can click here for an overview of the pickups I discuss that use Alnico 8 – more will appear soon. My experience is that it’s a far more pleasing result than shoving an Alnico 8 into a pickup designed with another magnet in mind. Some people dig it, and that’s groovy too. 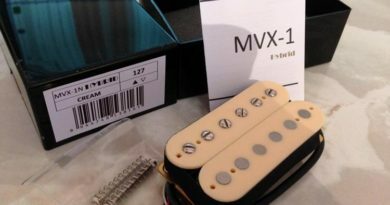 Another cool thing about the Satchur8 is that while essentially a signature pickup, it’s pricing is in line with all the other DiMarzio humbuckers. You don’t have to pay boutique pricing or wait a month or two for a special order. I think that’s a nifty business model for DiMarzio to take on an artist’s pickup model. 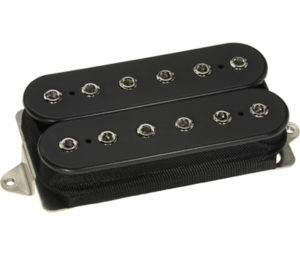 The Satchur8 is my favorite Satriani humbucker so far. I think it’s far out and you will do yourself a favor by checking it out. For reference, this Satchur8 humbucker evaluation was conducted with a Fractal Axe-Fx II XL+ featuring Celestion IRs. Real cabs used are a Peavey 6505 cab and a Marshall 1960B cab currently using 12″ Peavey Sheffield 1200s, 12″ Celestion G12-65s and 12″ Celestion G12T-75s.